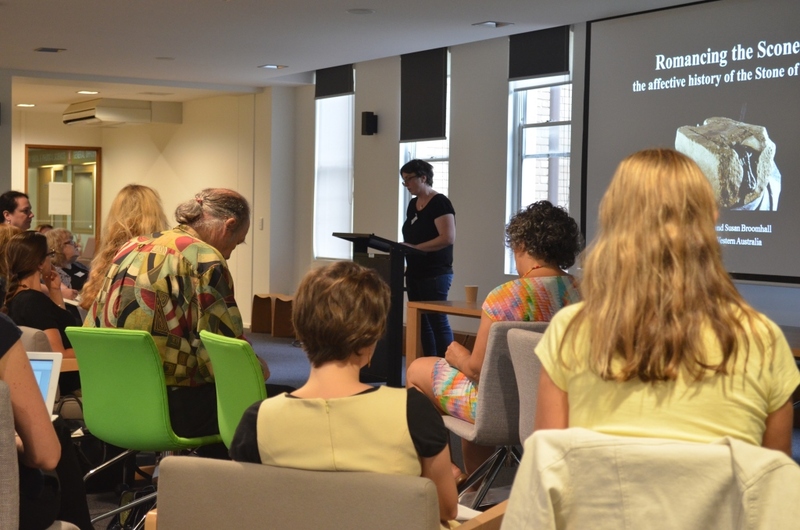 Dr Sarah Randles and Dr Stephanie Downes report on a recent event in the Australian ARC Centre of Excellence for the History of Emotions (CHE). The University of Melbourne, 14 March 2013. Emotions work in the humanities lends itself deliciously (to some tastes, at least) to puns. We considered several alternatives before settling with “Feeling Things,” from “Emotional Stuff,” to “Moving Objects.” In the panel discussion at the end of the symposium, we were asked, “Why ‘things’?” ‘Feeling’ we’d talked over, and we both liked the suggestion of the tactile and the physical bound up in that verb, as well as its reference to emotional perception. The ‘things’ themselves just came naturally; a Freudian Kantian slip. But querying how we define and think of objects – as well as emotions – is exactly the kind of the discussion the symposium hoped to generate. Material culture, of course, is as slippery as any other cultural phenomenon. Not even with objects does the historian of the emotions have ‘something’ to hold on to. Attention to material culture, however, opens new paths for the analysis of emotional dynamics in the past. Whether read as agents or carriers of emotionality, objects have much to tell. The symposium, held at Melbourne University on March 14th, was driven initially our shared interest in material culture in the Middle Ages. As we thought more about emotionality in the context of those objects (books, relics, textiles), we found that the existing frameworks for considering objects and emotions had limited applicability for the sorts of objects and the time periods we were considering. The initial suggestion came from Sarah: we’d just have to write a new one! 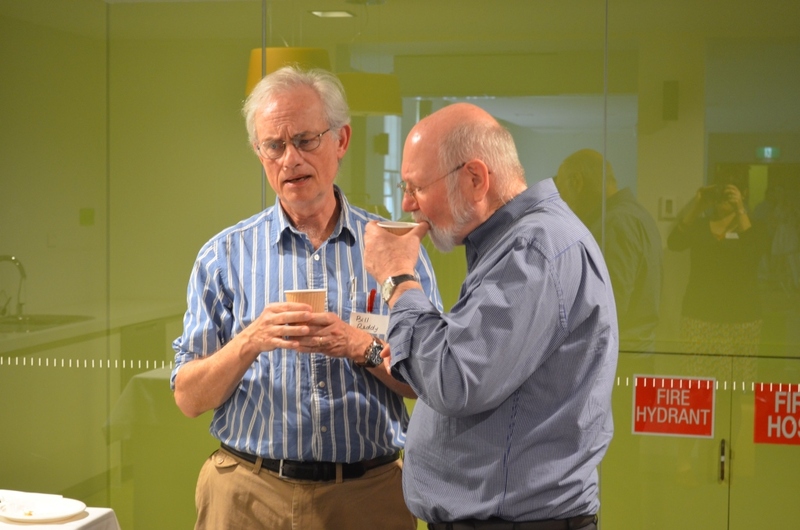 At one point in the discussion, Bill Reddy – the panel guest-of-honour, visiting Melbourne to attend the CHE Methods Collaboratory and delivering public lecture on the history of romantic love that afternoon – asked if modern understandings of ‘objects’ themselves “threatened to betray us”? The division of subject and object, he went on, is a modern one. How to take that into account when analyzing the ‘emotional’ value of physical objects in the past, especially for human subjects? Object? Thing? Matter? Material? Stuff? Substance? What of its different states – from ‘matter’ into ‘object’, and its relation to different types of subjective handler, from maker to user, owner or audience? Context, it was agreed, was key. By the end of the day, the need to develop a framework and a lexis for doing the history of emotions and material culture was reiterated. This field opens up so many new avenues for humanities researchers: if an object can gain and lose emotional value, what emotional economies does it move in? Is this sort of language, with its suggestions of monetary worth and social exchange, the right one to evoke in our descriptions of the emotionality of objects in the past? A history of emotions that uses material culture as its focus offers up new and exciting ways of thinking about time as well as value. Objects ‘collapse time;’ they hoard the very shifts in emotional meaning that the histories of emotion aim to explore. Attention to material culture provides a way in to transhistorical approaches to emotion that text yields less readily. This can be especially true for historians of the Middle Ages, for whom text and records are often incomplete or lost. The makers, and the very materiality of these objects also provide an important part of the framework. The day opened with a paper jointly written by Alicia Marchant and Susan Broomhall, both researchers at the University of Western Australia, on one such medieval ‘object’, the emotional resonance of which stretches into the present – and, dizzyingly, off into the future, too. The Stone of Scone, they argue, has a long emotional history, written in myth and legend, if not in stone. Alicia began with reference to Jane Bennett’s Vibrant Matter, and Bennett’s notion of “thing power.” Bennett’s thesis, developed from Object-Oriented Ontological (OOO) perspectives, emphasizes the agency of the object itself in effecting change, emotional or social, and proved controversial (Does the attribution of agency itself anthropomorphise the thing?) Alicia and Sue, however, critically used the stone to travel from thirteenth-century Scotland to twentieth-century England, showing the evolution of its emotional capacities to physical surrounds, temporal context, and proximity to other objects. As a single ‘object’ that ‘hoards’ emotional complexities of various kinds across hundreds, if not thousands of years, the stone was a powerful start to the day’s discussions. 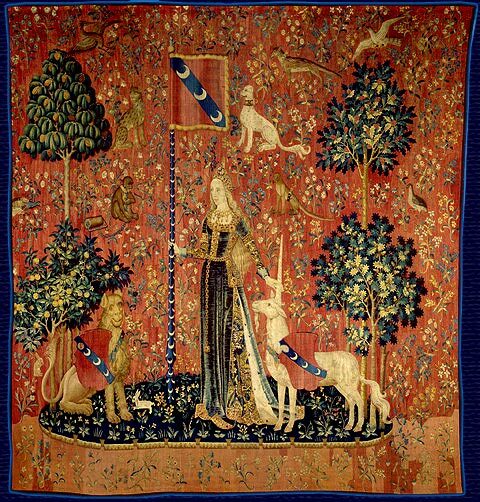 Helen Hickey’s reading of the relic of the sainte-larme – Christ’s tear – reached from medieval to revolutionary France, the point at which the relic was lost. The relic’s affective history, of course, continues well beyond that time, and takes in not only textual evidence and the evidence of the material texts (manuscript and print) but archaeological evidence as well – reliquary casings, ampullae and seals. As she spoke, Helen passed around a geostone, split to reveal a perfect tear-shape embedded in the crystal. In the space of time the geostone took to pass from hand to hand around the room, a powerful point was made about the traces, invisible though they may be, that an individual object both leaves and gathers, and the ways in which those traces might be described. The last paper of the first session, by Diana Barnes, married the materiality of text with emotion: early modern letters as emotional objects. Such objects are inscribed with emotional vocabularies of various kinds, but then there is their materiality to consider as well: from inkblots, to quavering lines, torn pages, and tear stains. The final two papers of the day were particularly significant in showing how approaches to the medieval and the modern can mutually inform: Sue Broomhall spoke on objects of Dutch colonialism along the West Australian coast, and Jacqueline Van Gent on wampum in colonial America, but their approaches to the temporal and geographical movements of these objects, and the various cultural meanings attached to them, could have applied as readily to a medieval relic. Interrogation of the transhistoricity of objects and emotions almost inevitably comes up against moments of colonial encounter, and here questions of ‘emotional value’ most visibly come into play. Wampum – the shells used in a variety of social situations by the Iroquois – were woven into elaborate belts, which were then used as a means of exchange with Europeans. In 2012, some of these belts were returned to the Iroquoy confederacy. In Sue’s analysis of Dutch encounters with indigenous Australians, domestic objects such as plates and cups become mnemonics for colonial power and present an example of how cross-cultural communication could fail when the objects intended for exchange had vastly differing emotional values for different peoples. The existence of such objects in gallery spaces across Australia and Europe in 2013 continues to develop the length and complexity of the emotional narratives they contain. To bring our focus firmly back to the material, after lunch participants visited the Dax Centre Gallery, part of the Melbourne Brain Centre, for a floor talk by program manager Penelope Lee, who is also an outreach officer for CHE in Melbourne. Penelope introduced us to several objects in the Dax collection made by mental health patients in the context of art therapy. Her talk gave both historical context and explored the emotional resonance of these artworks. There’s a rich seam to be mined in thinking about how objects carry, deflect, transmit, gather or retain emotional meaning. As the afternoon discussion moved on to questions of authenticity, to objects real and imagined, to the differences between matter and the thing itself, to the social relations objects can maintain or rupture, to the ways in which they collapse time itself across the centuries, we were pretty certain we were on to something. Or maybe some thing. This entry was posted in Conferences, Emotional Objects, The Museum of Emotions and tagged chemise, emotional objects, empire, feeling things, letters, Melbourne, objects, sainte larme, senses, Stone of Scone, touch, William Reddy by Stephanie Downes. Bookmark the permalink.